One of the world’s top tourist destinations, New York has been attracting travellers for many years. 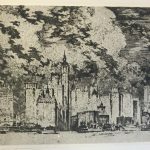 This week’s Travel Thursday looks at the Big Apple from two uniquely different perspectives; that of a poet and that of an artist. a trunk which stands upright, can be pushed along on rollers, fits in beside the driver of a taxi […] so easily accessible that he need never unpack during his whole journey. 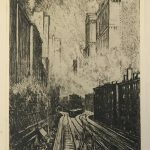 American artist, Joseph Pennell (1857-1926) was an eminent etcher and lithographer, who championed and revived the art of print making in the early 20th Century (Encyclopedia Britannica, 2016). 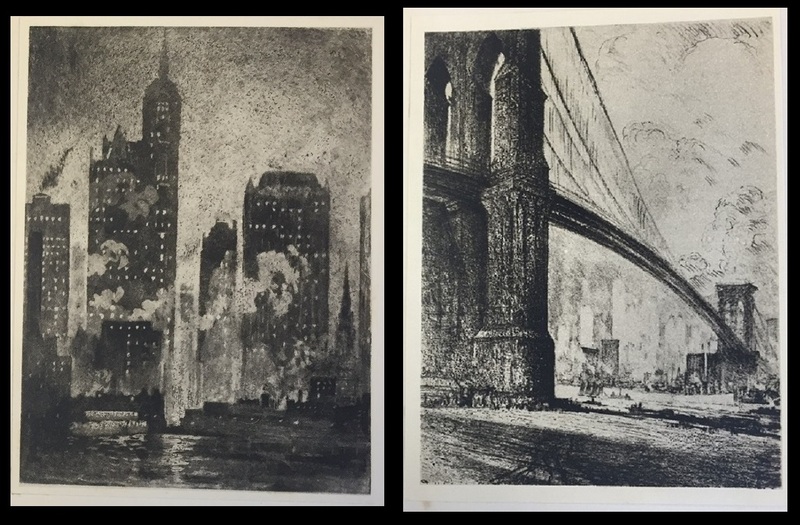 Although he travelled widely, Pennell lived in New York from 1918-1926 (Library of Congress, 2016) and created several beautiful drawings of the city. For Pennell, New York was the ‘Unbelievable City’, a marvel of the modern world owing to its immense size and towering buildings, which are beautifully captured in his sketch of the city’s magnificent skyline. There is no thrill at the end of any voyage upon this planet like the thrill at the first sight of New York rising like a bed of rock crystals out of the sea. The work goes on by night as well as by day. A few months will see a skyscraper in place, equipped and occupied. To get quickly up-town it is necessary to take the subway. You go underground. There is an office where you can get change and then, putting in a nickel (five cents), you pass through clanging turnstiles on to the platform. There are no ticket collectors nor porters. Red and green lamps are placed on pillars at these intersections and by them traffic is regulated. In broad daylight up until 2a.m. these green and red lights are flashing in the streets. All the accidents – as a taxi driver explained to me – take place after 2 a.m. There is in New York no public opinion, no curiosity. The complete impersonality of the big hotel and the big store where no one watches you to see that you spend something is very soothing. it is possible for me to predict that in much less than a hundred years from now one will be able to speak to any person in any part of the world by just taking a wireless receiver and transmitter out of one’s coat pocket. 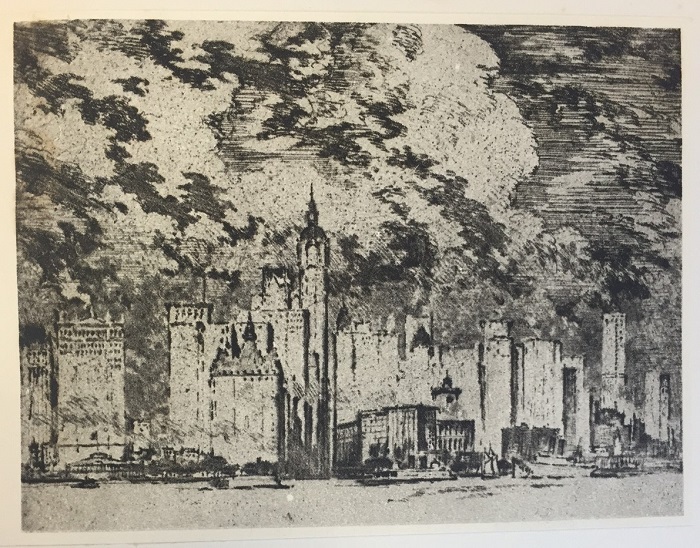 The sky-scrapers were slender pinnacles of light, across the river crawled in every direction ferry-boats that were just many-tiered electric palaces, and Brooklyn was one vast blaze netted with dark lines glittering beside the water. 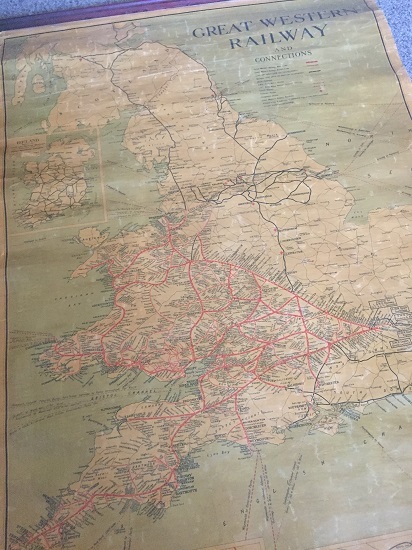 The Great Western Railway (GWR) was founded in 1833 and received an enabling Act of Parliament in August 1835 that allowed the company to provide a double tracked line from Bristol to London (Daniel, 2013). 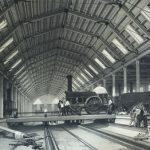 Isambard Kingdom Brunel was appointed as the project’s engineer, determining the route, sections and estimates (Bailey, 2006). He also designed a controversial broad gauge track in an effort to increase speeds and passenger comfort (Daniels, 2013). 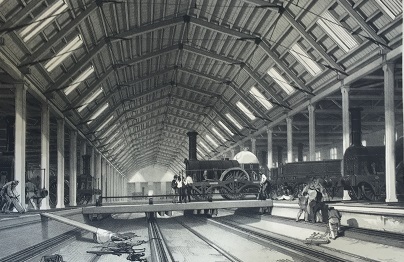 Construction of the line finally began in 1836; initial stages saw work being completed between Bristol and Bath in the West, and Reading and London in the East with connecting lines and stations quickly following. (Daniels, 2013). 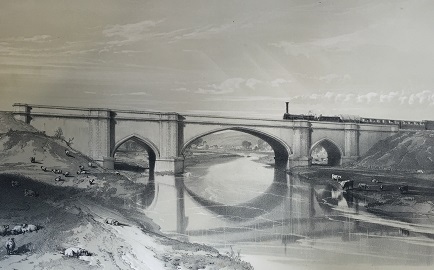 Upon completion in 1841, the GWR was considered such an outstanding achievement that it was dubbed ‘God’s Wonderful Railway’ by many (Trueman, 2016) and in 1846 John C. Bourne published “The History and Description of the Great Western Railway” with the express purpose of highlighting, the “constructive skill and general grandeur of appearance,” of the project. 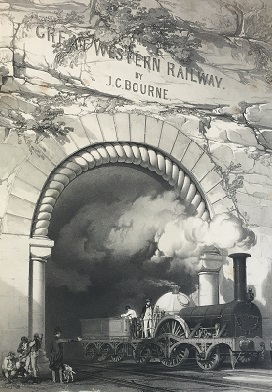 Bourne’s work is a fascinating insight into an exciting period in the history of transport and travel; it gives a brief history of the political and economical challenges faced by the GWR, an overview of the scientific and engineering principles involved in the construction of railways and locomotives, and then presents an array of beautiful lithographs highlighting the remarkable construction and architectural work found along the tracks. 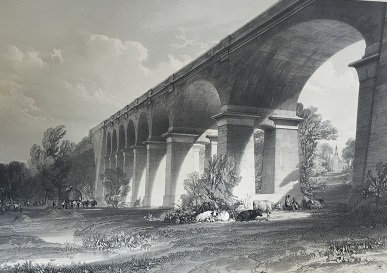 but the straightness of a railway, and the rapidity of the motion upon it, entirely shut out its far greater and more numerous works, and thus some of the most magnificent structures in the kingdom, though crossed daily by thousands, are actually seen by few. 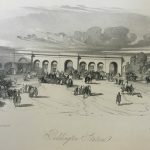 An early Paddington Station, the London terminus of the railway designed by Isambard Kingdom Brunel. The railway leaves Paddington in cutting, but the Kensal-Green Cemetery, with its glittering temple, is seen on the right, and on the left an occasional view of the Vale of the Thames. 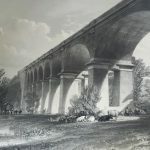 The Wharncliffe Viaduct, the largest piece of brickwork along the railway and one of the first pieces of work to be complete. The arches are elliptical, eight in number: the span of each is seventy feet, and the rise seventeen feet six inches. The piers are composed each of two square massive pillars of brick, slightly pyramidal, and of a character somewhat Egyptian. 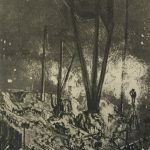 [It is]capable of accommodating about a hundred engines: these consist of the engines in actual use, of the stock of spare engines, and of those undergoing repair. At this station every train changes its engine, so that from this circumstance alone, at least twice as many engines are kept here as at any other part of the line. 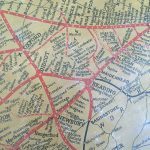 By 1842, GWR and two other railways owned by the company had over 170 miles of line and in that year, conveyed 869, 444 passengers without a single casualty. success of GWR roughly sixty-eight years later. 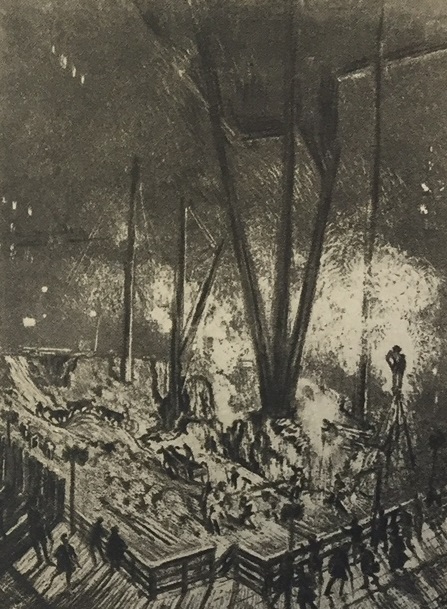 Lithographed by the well-respected W. & A.K. 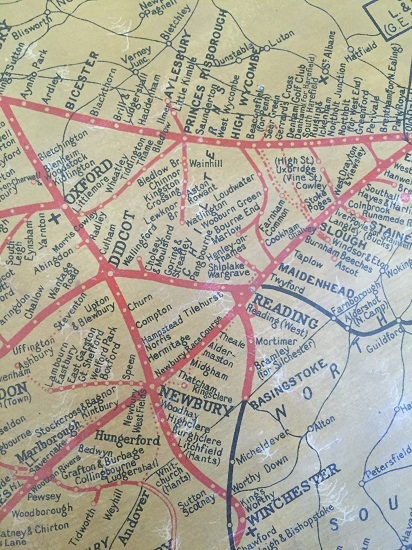 Johnston Ltd, and designed to be hung on the wall, the map highlights the reach of the GWR across the South of England with the red lines indicating GWR’s main lines, branch lines and running powers. 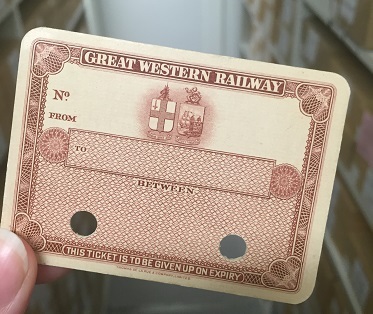 Great Western Railway Ticket designed by De la Rue. 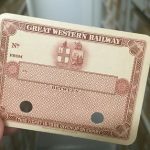 Our archives hold a number of other fascinating pieces of GWR ephemera including some beautiful photographs of Reading Station (c.1880 – 1930s), portraits of Railway Workers, and this lovely blank specimen of a season ticket printed by De la Rue c.1930. 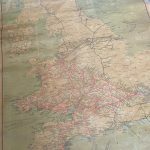 You can find more on the Great Western Railway from our collections here and information on accessing our archives here. Daniel, John (2013) Great Western history, 1835 – 1892. Trueman, C.N. 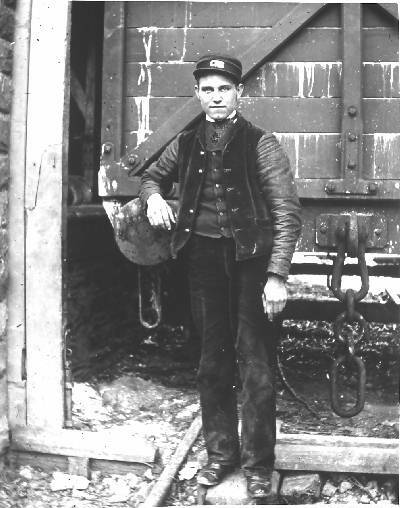 (2016) Trains 1830 To 1900. This Travel Thursday post features the masterful landscape illustrations of Scottish painter and traveller, David Roberts. 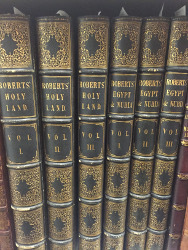 Presented in six volumes, both ‘The Holy Land’ and ‘Egypt and Nubia’ [OVERSTONE–SHELF LARGE 34I/07] were published between 1842 and 1849 by F.G. Moon. These hefty tomes contain detailed drawings alongside historical descriptions of various sites of interest in the Middle East. 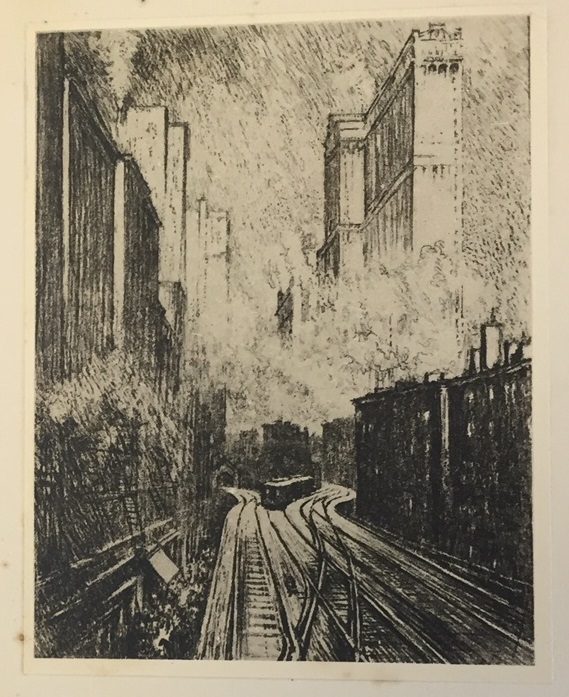 The prints, created by Louis Haghe, a prolific and renowned lithographer, have “come to be regarded as the chef d’oeuvre of the tinted lithograph,” (Price). 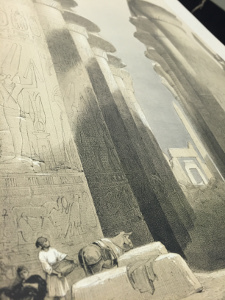 In the early 19th Century, travel was both difficult and expensive so few people were able to venture beyond their own towns and while photography was beginning to develop, “printed books of landscape and travel drawings were for most people their only window to the outside world,” (Medina Arts). 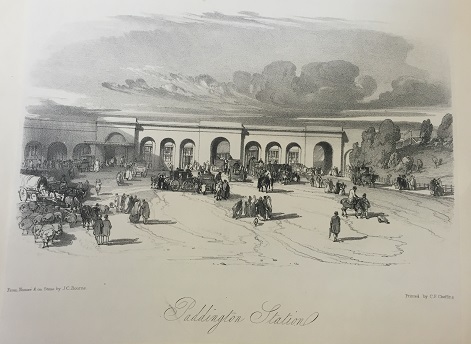 However, even the artists creating such drawings tended to rely on inaccurate or incomplete descriptions from travellers when composing their landscapes of foreign locations. 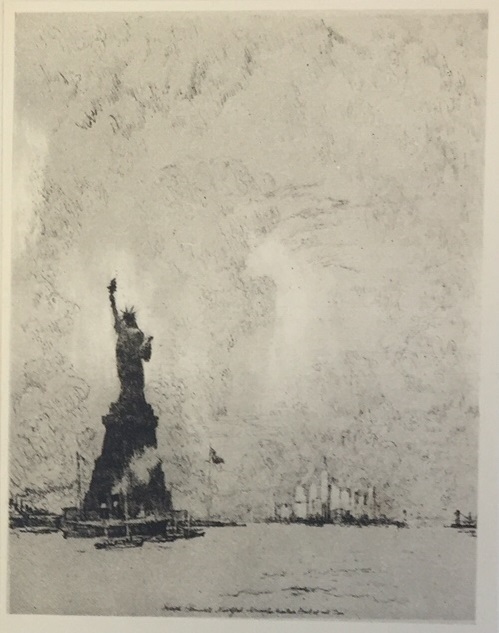 Roberts was one of the first professional artists to visit the Middle East and compose his landscapes ‘on the spot’. 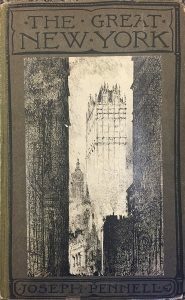 He believed that, “there would be a great market in England and Europe for images of such exotic subjects,” (Medina Arts) and with subscribers to his work including Charles Dickens, John Ruskin, Queen Victoria and Tsar Nicholas 1 of Russia– Roberts was proved correct. 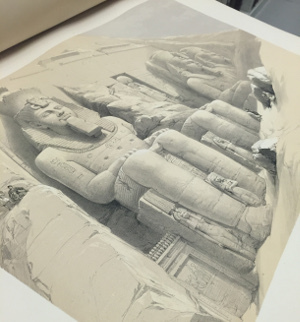 His works continue to have importance today, giving a glimpse into monuments unseen by many and preserving some views that have been lost to time forever. 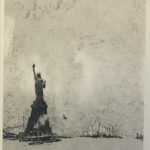 The height of these enormous statutes is recorded at over fifty-one feet yet despite their size, Roberts affords them minute and careful detail in his artwork. 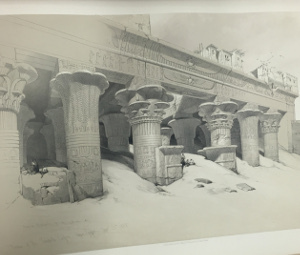 It is therefore no wonder that leading English art critic, John Ruskin is quoted as saying that Roberts’ drawings, “make “true portraiture of scenes of historical and religious interest. They are faithful and laborious beyond any outlines from nature I have ever seen,” (Metropolitan Museum). It is only […] on coming near that you are overwhelmed with astonishment: you must be under these stupendous masses – you must look […] to them, and walk around them – before you can feel that neither language nor painting can convey a just idea of the emotions they excite. A voyage from Alexandria to Wady Halfa, will reward the traveller, by the emotions which the scenes and objects will excite, far beyond any power of promise.